Which Character Was Created Because Of Nintendo’s Inability To License Popeye? Who Is The Person Behind The Generic Silhouette in Microsoft Outlook's Contacts? In July of 1981, Nintendo released what would go on to become one of the most iconic arcade games of all time: Donkey Kong. Millions of players around the globe would drop handful after handful of quarters into machines to help the nameless mustachioed protagonist save his girlfriend from an angry ape. 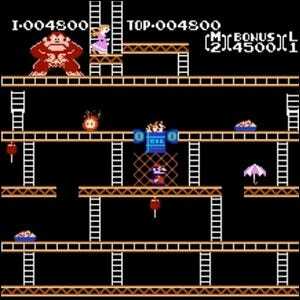 The original version of Donkey Kong, however, was actually intended to star the cast of the Popeye cartoons. The role of the kidnapper was originally played by Brutus, Popeye’s nemesis, the girlfriend by Olive Oyl, and the protagonist by Popeye himself. When licensing could not be secured for the game, the development team was instructed to swap out all the characters for in-house models. The new protagonist, known informally in the early years simply as “jumpman” because he spent all his time in the game leaping about, would go on to become Mario of the Mario Bros. fame–the most recognizable video game character in the world.